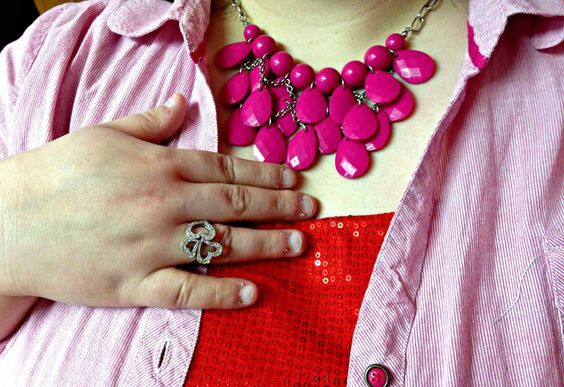 I rarely wear pink, like I've stated in past posts, but I really like it with red. Especially for Valentine's Day! They are both such bright and happy colors. 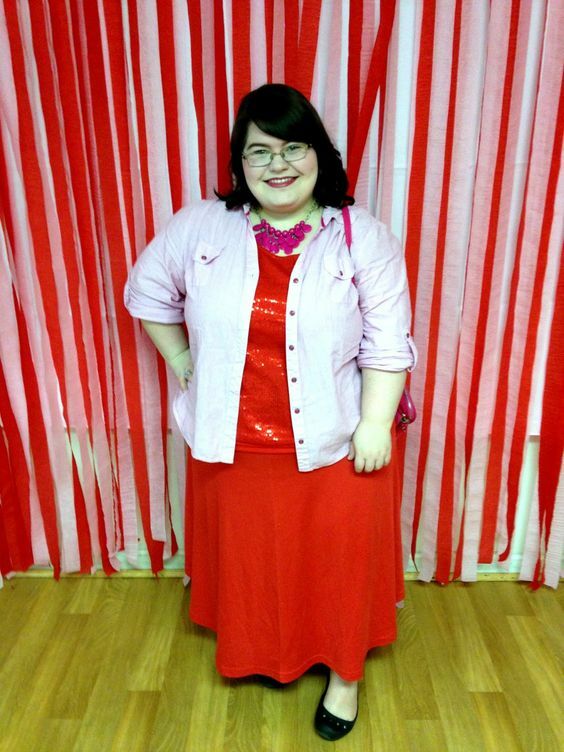 I decided to go with a red skirt and sequined shirt. I liked the monochromatic look of it. To jazz it up and break up the flatness of it a little bit, I threw on this light pink button up. I topped everything off with a pink statement necklace and crossbody. I wore this to church today and definitely felt dressed for the holiday. To be honest, I actually thought about not even posting these pictures because of the horrible lighting, but I am anyways. You can forgive me, right? I had a great Valentine's Day. :) Thank you so much! 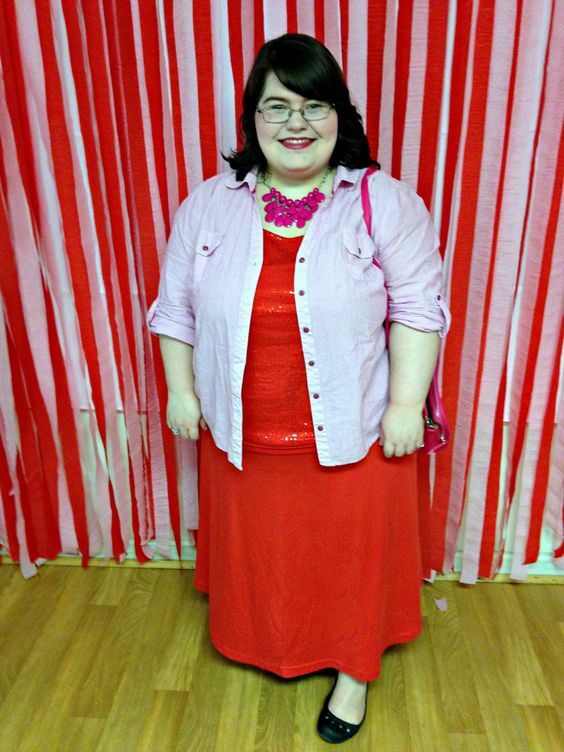 I love your sequins, and that you added the pink necklace!